Cotton's Finest - October 2018 - Cotton Holdings Inc.
1. What is your role on the Cotton Team? What are 3 words you would use to describe it? A: I am a Project Coordinator. My responsibilities range from Business Development and marketing our services to facilitating operations and collections on projects. No two days are ever the same as a PC, as I’m often wearing multiple hats simultaneously. At the end of the day, my goal is to interpret the client’s needs, communicate said needs with my Ops team, stand up Operations, support those ever-changing needs/Ops throughout the project and overcome any obstacles with a “never say no” attitude. A: That’s a tough one! Obviously nothing compares to time with my family, but outside of that it’s anywhere I’m on water and holding a fishing pole. My favorite country I’ve traveled to would have to be the Philippines. A: You really can’t do justice to the word Cottonuity until you’ve witnessed it first-hand. Cottonuity is the impressive force that takes place when Cotton is given the opportunity to assist a client with a need. Cottonuity is visible throughout our day-to-day operations, as well as our Large Loss Ops. It’s not only a culture and family/team environment, it’s the ability to offer a seamless, turnkey solution to any ask a client may have. It’s the middle-of-the-night, limited-resource, never-say-no attitude that the entire Cotton Team respects and possesses. A: Cotton possesses the desire from the ground up, to never say no, whether it’s in the office or the field. We take that passion and drive to our clients to offer a transparent, persistent, turnkey solution to any need they may have. The portfolio that Cotton Holdings has built stems from the “never say no” attitude of the Restoration division in the early years of Cotton. 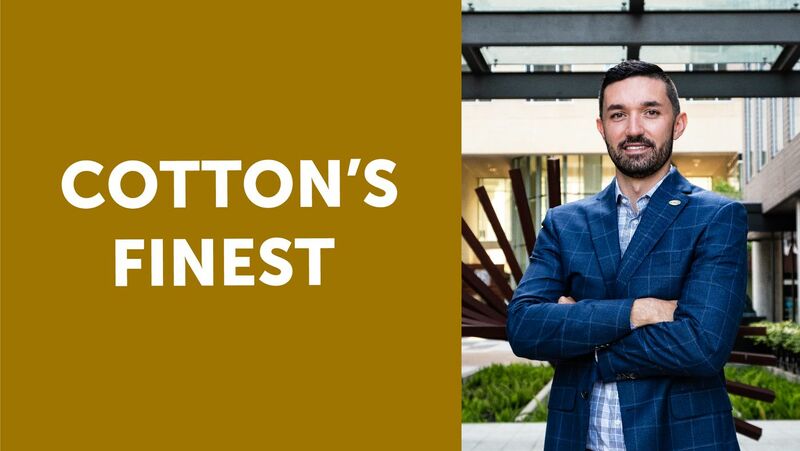 The amount of tenure our leadership team offers goes to show the stick-to-it-iveness that it takes to build a dynamic brand like Cotton. Our clients appreciate that approach and culture. A: I’ve completed the Southern California MS-150 mile bike ride four times on behalf of my mother and Aunt Joey, who both battle Multiple Sclerosis.